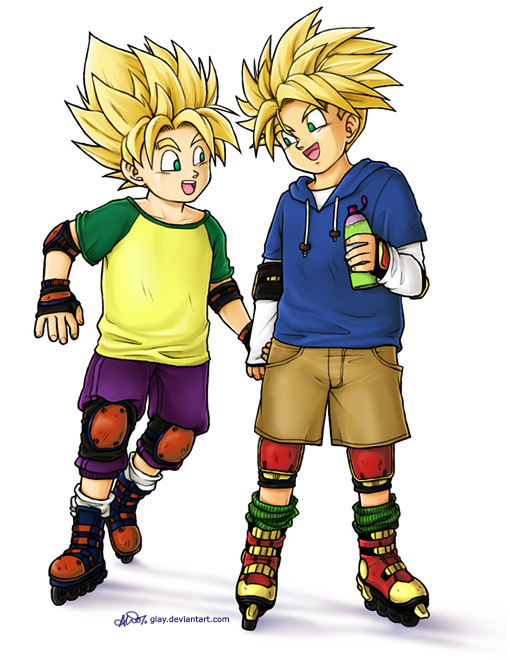 Goten n Trunks SSJ Rollerblading. Absoulutely adorable. I even drew this at ホーム and Trunks's hair was as hard as hell.. Wallpaper and background images in the ドラゴンボールZ club tagged: dragon ball z anime dbz goten trunks rollerblade skating sports. Absoulutely adorable. I even drew this at ホーム and Trunks's hair was as hard as hell. Someone else drew this on DeviantArt, but I liked it and drew it at home.